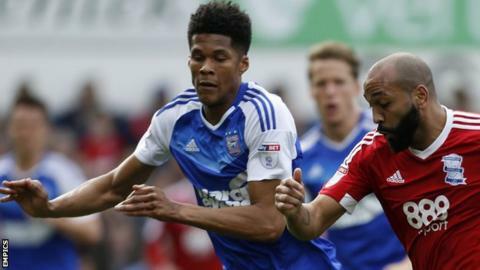 Ipswich Town defender Jordan Spence has signed a new two-year contract with the Championship club. The 27-year-old joined Town in January on a deal to the end of the season, having left MK Dons last summer, and played in 17 matches. The former West Ham and Leyton Orient right-back has made 178 career league appearances. "It was an easy decision to come back. I've really enjoyed my time and this was where I wanted to be," said Spence.